I have something of a Dota 2 habit. Every week, I find time to play at least a few hours of the game—frequently, if not a game a day. But part of my frustration with Dota 2 has always been the time commitment it requires, as games can take upwards of 40 to 50 minutes or even longer than an hour. Turbo mode has changed a lot of that for me. 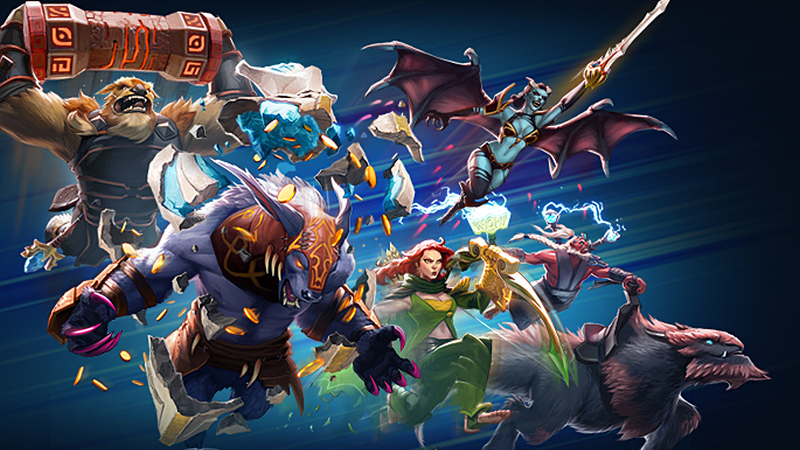 I was hesitant to call it back when the new game variant came out back in November, but since that patch, I’ve played dozens of Turbo matches and only a handful of normal Dota 2 games—and I don’t see myself going back any time soon. A small sample of my recent Dota matches, all Turbo. Turbo mode is formatted just like a typical Dota 2 match. It’s still five-on-five, with ancients at each end that need defending (or destroying). Creeps still charge down lanes, towers still halt their advance—it’s the same game of Dota that people have been playing for ages. What changes is how quickly players accrue resources. The longest process in Dota 2 is saving up to buy items for your hero, whether it’s a cheaper one like a Force Staff or hoarding gold for a Radiance, at a whopping 5150 gold. Turbo mode speeds up that process immensely by doubling both the passive gold players build up over time, as well as the experience gain and the amount gained from using a Hand of Midas to turn a monster into gold. Playing as support in a normal Dota 2 game often means becoming a walking bag of wards, as you spend every penny buying consumable tools for your team. In Turbo, even supports get fully kitted out, rocking fancy items like Aghanim’s Scepter and Rod of Atos. It’s fantastic to pick a hero like Winter Wyvern and know I’ll get to finally see if her Scepter upgrade is cool—it is—or if a certain item combination works well in a real game. Everything in Turbo is effectively sped up: towers are weaker, respawn timers are shorter, everyone gets their own personal courier for free, and town portal scrolls have shorter cooldowns, so you can get to the action that much faster. Turbo is still essentially Dota 2, but a game takes place over the course of 20 or 30 minutes instead of an hour, and everyone gets a chance to pitch in and have fun. It’s extremely reminiscent of the original DotA mod’s “all pick easy mode,” or -apem, variant—a version that was crucial in getting me into the idea of a Dota-like game in the first place. Yes, it can still get snowball-y, and it doesn’t make the act of playing Dota 2 any easier. There are still dozens of item combinations, skill sets, and mechanical techniques to internalize. And I still enjoy watching a classic, normal, competitive game of Dota 2 as much as I always have. But Turbo makes it so when I sit down to play a game after a long day, I don’t have to shackle myself to the computer for an hour or more for a single match. In the time you could play one or two games of normal Dota, you could play twice as many Turbo mode matches, or just play a quick “one-and-done” session. It’s nice to still play the game I’ve sunk thousands of hours into, but in a much more compact, concentrated format.